Shop local! It shows pride in the community where you live. 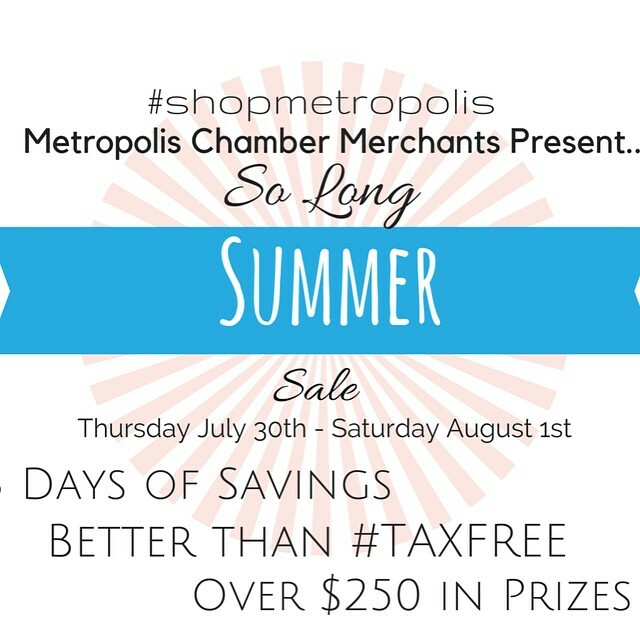 Back of the Closet, 205 ½ W. 6th St.
Creations the Florist, 600 Ferry St.
KMA Creations, 119 W. 6th St.
Leaps & Bounds, 1105 E. 5th St.
Lillie’s Hallmark, 606 Market St.
Movies and More, 300 W. 10th St. Ribbons & Beaus, 909 E. 5th St.
Silver Collections, 215 E. 5th St.
Sixth & Vintage, 600 Market St.
Twice As Nice, 615 Market St.
West End Plaza, 810 W 10th St.
White Lili Boutique, 307 Ferry St. This entry was posted in All the Buzz - Bee Informed and tagged Dress It Up, Leaps and Bounds, Lillies Hallmark, Metropolis Chamber of Commerce, Silver Collections, White Lili on July 28, 2015 by massacbeeswax.